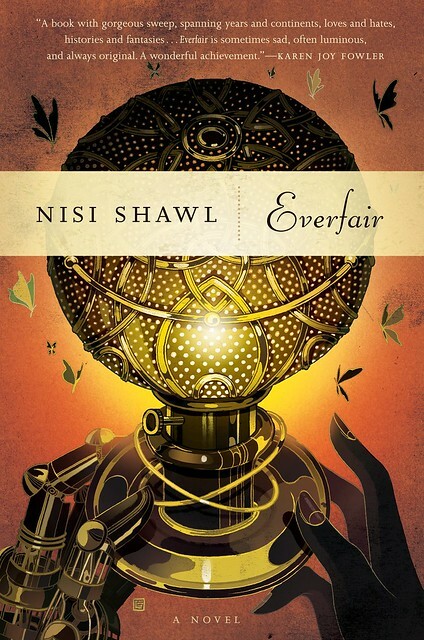 Nisi Shawl’s novel, Everfair, began as a bit of dare — a fine reason for a story to exist. But as Shawl details below, it’s not enough to write something for the challenge… because sooner or later, you’ll need people to want to read that story, too. I want to subvert your mind. In a good way. Then I had to figure out how. My first glimpse of a way forward came in the form of a reference to an abandoned “Utopia” in Brazil called Fordlandia. Fordlandia was Henry Ford’s capitalist experiment in community building. The US automaker wanted to monopolize Brazilian rubber production, and rubber was what drove King Leopold II of Belgium in his shameful tyrannizing over central Africa. So there was a very visible connection between the two men behind these different projects… but what if people who wanted to create a real Utopia had set one up too? Britain’s Fabian Socialists, with whom I was familiar due to my aforementioned fondness for all things Victorian, were likely candidates. What if they’d bought land from Leopold, feeding his greed with the funds that in actuality they used to found the London School of Economics? What if U.S. Civil War veteran George Washington Williams, author of the scathing “Open Letter to His Serene Majesty Léopold II, King of the Belgians and Sovereign of the Independent State of Congo,” had lived a long, activist life instead of dying soon after his investigatory visit to Boma? As I wrote along the lines these inquiries suggested, I also paid attention to my usual favorites: sensory cues (What does a crashing dirigible sound like? How does a warehouse full of tea and bauxite smell? ), characters’ voices (Who asks lots of questions? Who never hears anyone’s answers? ), and complications (Would arranging for this one to get what they want mean that one’s dreams were indefinitely deferred?). Because I wanted people to immerse themselves fully in the possibilities of Everfair. Though millions of people died during Leopold’s brutal reign, many of them horribly, I wanted readers to want to read what I was writing. I wanted to sneak past the defenses we all have in place against pain and suffering, even—or maybe especially—suffering perceived at third or fourth hand. One of my most trusted secret weapons in carrying out this infiltration was Lisette Toutournier. The model for Lisette, arguably the book’s main character, is my favorite author, Colette. While Colette’s work often conveys the sensual pleasures of nature, I’ve endowed Lisette with my own gear kink. In her sections there are loving descriptions of train engines and steam bicycles and so forth. Lisette finds a tour of a ship’s coal hold a much more romantic gift than a lacy negligée. After indulging with her in the delights technology offers, my audience would be willing to thoughtfully consider the price we pay for those delights. I hoped. Feedback from early readers indicates this ploy is a success. Now to try it on you. 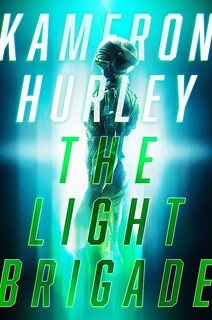 I can hardly wait to read this one. 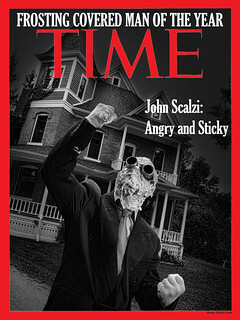 I read one of the “outtakes” of the novel on Nightmare Magazine–a story about Leopold and ghosts. It was visceral and beautiful. And here I am trying to buy-buy-buy… oh you are evil, Nisi and John. Evil. Teasing me with this before I can buy. Ooooo – this one is a must-read! Nisi is one of my favorite writers, and I can’t wait to see her take on steampunk. I’ve never particularly enjoyed that genre, for many of the same reasons that Nisi cites, so her approach is very intriguing to me. Will hunt this one up forthwith! This is on my list now! This is (yet) another Big Idea book that I need, I mean, want to buy…. There was an Australian socialist colony in Paraguay (New Australia) though it didn’t come to much in the end. It was explicitly racist too, which seems like an incongruous combination with socialism today. Vague memories tell me there might have been a few other utopian experiments in South America. She’ll be in Scottsdale on Saturday for a reading from this work. Already have the day booked, but oh, how I wish I could be there! Will definitely check this out; sounds like Nisi Shawl is mining a deep, dark vein. @Manuel Royal: Do you have any contemporary Steampunk you would recommend? @ Steve Taylor sadly socialism doesn’t automatically exclude racism (or sexism come to that) as can be seen from the history of the Labour Party and unions in the UK. Everfair does sound exciting as I agree with Manuel Royal’s analysis of much modern steam ‘punk’ and it sounds as if that won’t be a problem in this book.